Heidi knew early on that she wanted to be a family lawyer and has been practicing exclusively in the area of family law since she graduated from the University of Calgary Faculty of Law in 2009. She articled at a reputable family law boutique firm in downtown Calgary before being called to the Alberta Bar in 2010. In August 2011, Heidi was one of the first associates to join Widdowson Kachur Ostwald Menzies LLP. 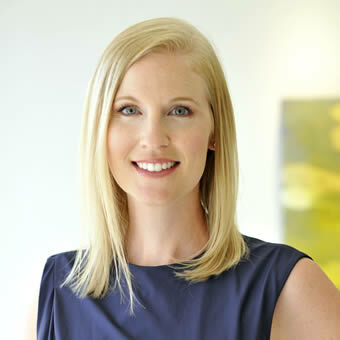 Heidi prides herself on her consistently cost-effective, efficient approach to the practice of family law and while she always attempts to resolve issues first by way of agreement or arbitration, she is prepared to litigate when the parties have reached an impasse in the alternative dispute resolution process. She stays current on the evolving issues in family law by maintaining her active membership in the CBA Family Law Group and regularly attending seminars and courses with the Legal Education Society of Alberta. Outside the office you will find Heidi with her husband and twin daughters, finding her zen at Yoga, or running along the Bow River with her Hungarian Vizsla, Eva.